a) liaise withthe United Nations Educational, Scientific and Cultural Organization (UNESCO), the World Association of Zoos and Aquariums (WAZA) and other relevant organizations and associations, to seek their supportin making the observance of World Wildlife Day a regular event for kindergartens, educational institutions, zoos, botanical gardens, aquariums, nature reserves, national parks and all wildlife-related facilities around the world. 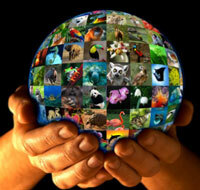 b) report at each meeting of the Standing Committee on the celebrations of each World Wildlife Day. c) inform the United Nations General Assembly about the celebration of World Wildlife Day, inter alia, elaborating on the evaluation of the day, as requested.